That’s right, I said, “lard”. That stuff modern society has warned us about and which the very mention of it makes cardiologists shudder. 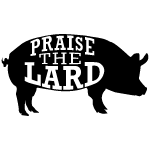 I use a crockpot to render my lard. Actually, for me, this is one of the few times I utilize a crock pot, come to think of it. So I try to get my hands on the amount of fat that will fill my crock pot to the top. I cut the fat into 1/2″ cubes, add about 1/4 cup of water to the bottom of the crock pot and then fill it to the brim with my pork fat cubes. Then, I just set the crock pot to it’s ‘low’ setting and let it do its thing. After the first hour, I open it up and give the chunks a stir. Then I just keep an eye on it and keep cooking until all the of fat has been turned to liquid and all that remains are small bits of meat (cracklins). 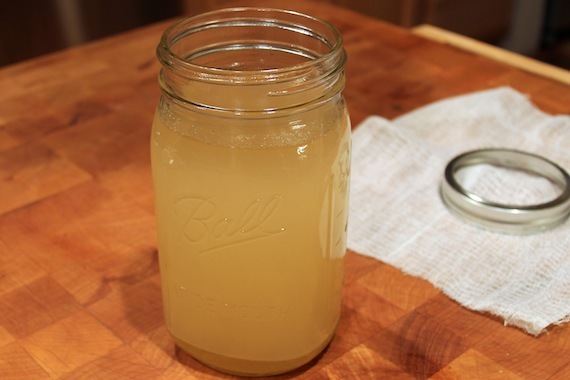 Then I strain through cheesecloth into usable portions or into a jar as seen in the image above. This lard will keep in the freezer for a long time and will also keep in the refrigerator for a long time. 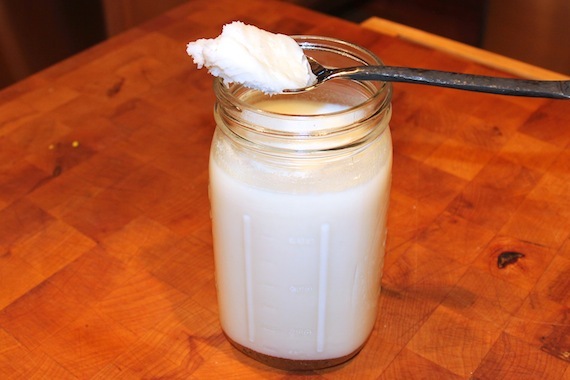 Due to the fats involved, lard is not prone to going rancid. Oh, and remember the cracklins?.. don’t toss them out! Those are tasty too! You can fry or bake them to crisp them up and then use them as bacon bits on salads or just munch on them on their own. So where do you get the large amount of pig fat….from your local butcher? Yep, your local butcher will work. I had a hog slaughtered and asked the butcher to reserve the fat separately.